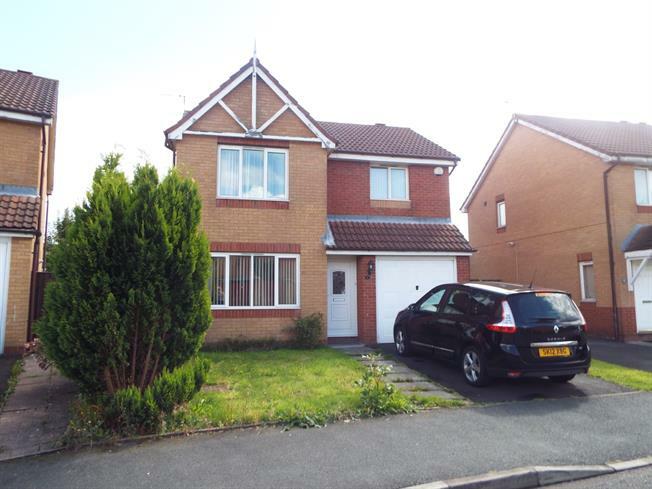 3 Bedroom Detached House For Sale in Newton-le-Willows for Offers in the region of £170,000. A three bedroom detached property, constructed in approximately 1998. Features two reception rooms, conservatory; leading externally to decked outback with good greenery. To the upstairs you have a large master with en-suite, one double and one single bedroom along with the family bathroom. Externally the property comprises of front greenery, drive and integrated garage. This property makes an ideal family home and sits a few minute drive from the M6 and East Lancashire road; excellent for commuters to Liverpool, Manchester and beyond. Double aspect double glazed uPVC windows facing the front. UPVC double double glazed door, opening onto the patio. Double aspect double glazed uPVC windows facing the rear overlooking the garden. UPVC double double glazed door, opening onto the garden. Single bedroom; uPVC double glazed door, opening onto the yard. Double bedroom; double aspect double glazed uPVC windows facing the front.